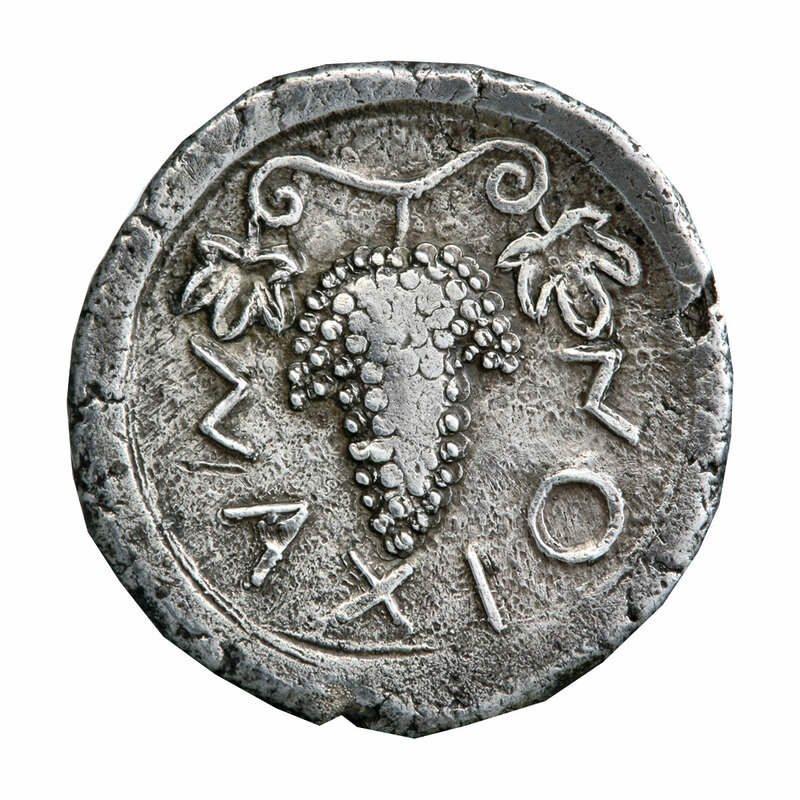 The Museum of Cycladic Art and the Alpha Bank Numismatic Collection, in their first ever collaboration, are organising a major exhibition entitled “MONEY. 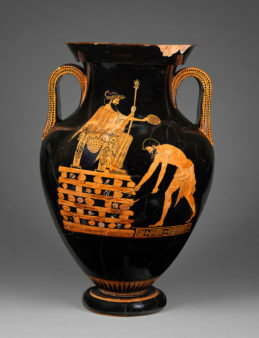 Tangible symbols in ancient Greece”. 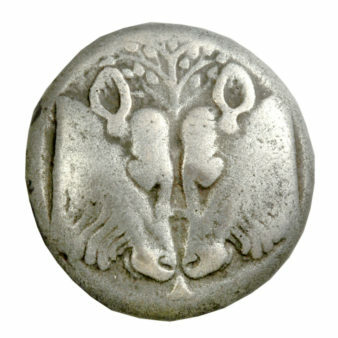 The exhibition presents a different side of coins, which first appeared in the late 7th century BC. 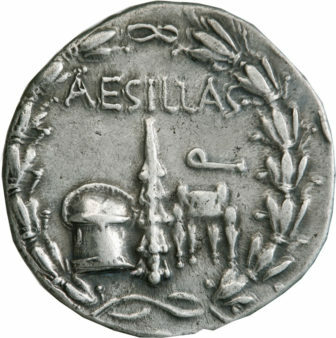 During antiquity, the coin also had another use, one that is related to its iconography: it was a symbol as well as something that people could hold in their hands, it was a tangible symbol. 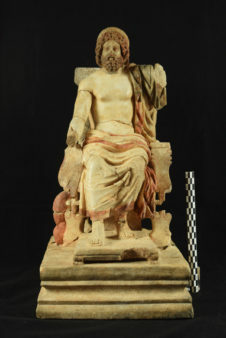 The exhibition is structured along eight thematic units, in which 85 coins from the Alpha Bank Collection are exhibited together with 159 objects (clay vases, terracotta figurines, marble and bronze statuettes, reliefs, gold jewellery, measuring vessels, coins from closed assemblages and inscriptions) from 32 archaeological museums and collections in Greece, Italy, France and the United Kingdom, whose iconography is linked directly to each unit’s content. The exhibition is accompanied by a catalogue, in Greek and English, containing information on all exhibits as well as rich photographic material. The Alpha Bank Numismatic Collection is considered one of the most important ones worldwide, comprising 11,000 coins from the ancient Greek world. 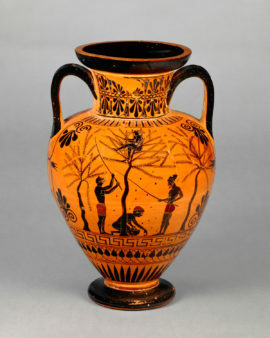 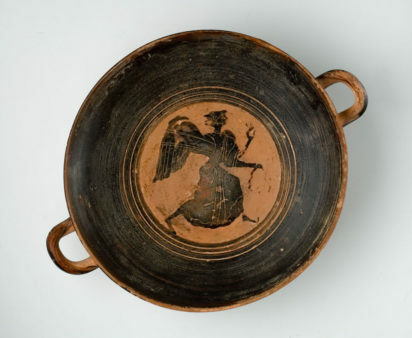 A few extremely rare items stand out among them, representing unique specimens of ancient engraving art. 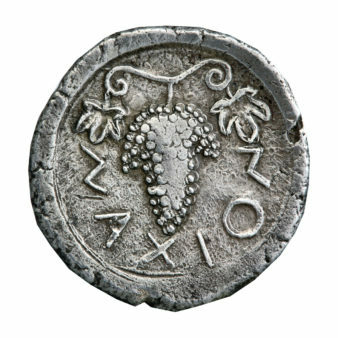 The Collection spans a period from the end of the 7th century BC and the invention of coinage, to the 3rd century AD and the termination of coin production in the cities of the Roman Empire. The Collection also includes a number of Roman and Byzantine coins. 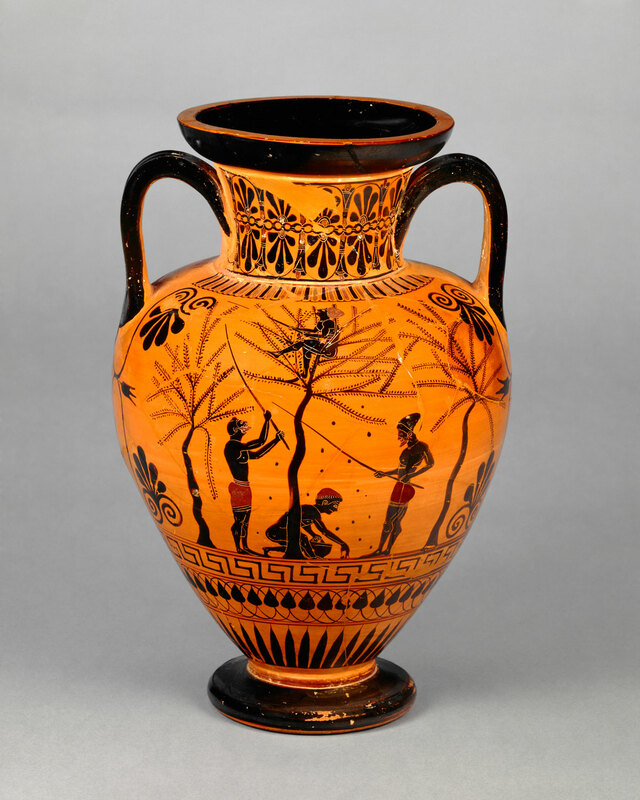 The primary aim of the Collection is to highlight the widespread dissemination of Greek culture and its influence on the ancient world. 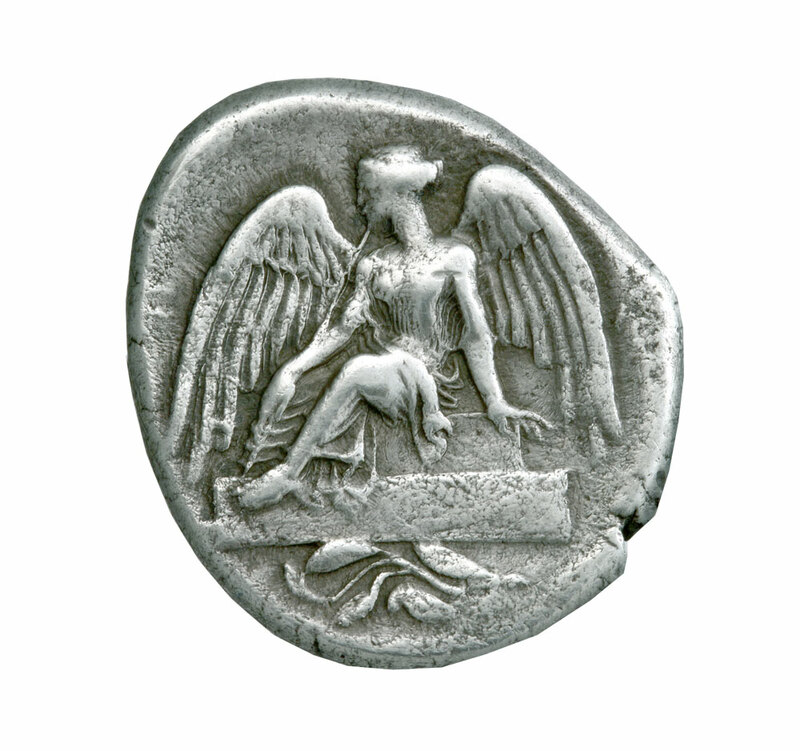 To this end, the Numismatic Collection organises exhibitions and lectures, participates in academic symposiums and international conferences, and produces relevant publications. The exhibition is curated by Professor Dr Nicholas Chr. Stampolidis (Director of the Museum of Cycladic Art), Yorgos Tassoulas (Archaeologist MPhil., Curator of the Museum of Cycladic Art) and Dr Dimitra Tsangari (Curator of the Alpha Bank Numismatic Collection).